When visiting the picturesque hillside village of Belazuc, we found out that there was a very interesting smaller village on the other side of the river, accessible only by footpath, not by car. Here is how it is described on their website. 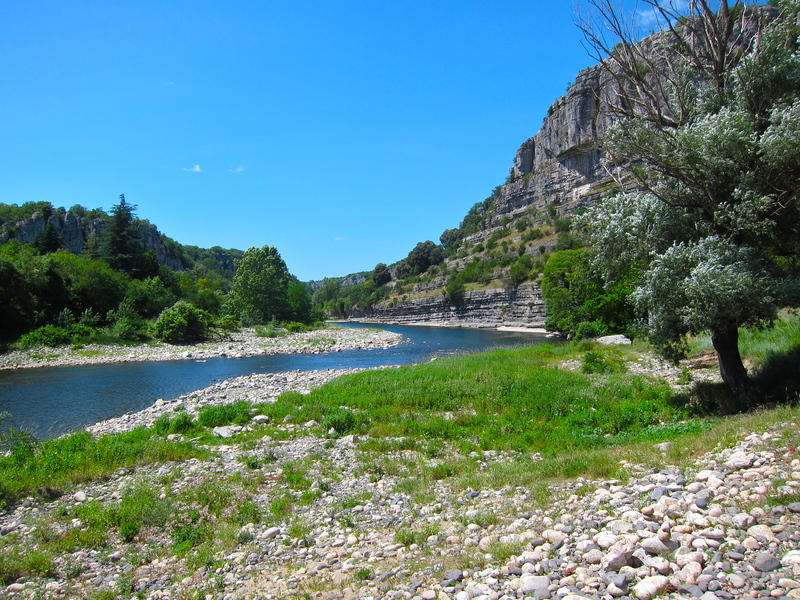 The site of Le Viel Audon has been inhabited since Prehistoric times by people who have enjoyed its mild climate, a river full of fish, a spring with constant temperature as well as rich fauna and flora. In the early 19th century, when silkworm breeding was a successful activity, the inhabitants of the hamlet left it to build large silkworm breeding houses on the plateau overlooking the village. After being deserted and forgotten for a century, all that was left of it was a heap of ruins buried under ivy. In the 1970’s, a handful of “utopists” put it into their heads to revive Le Viel Audon. They created an association and organised international volunteer work programmes for young people. Over 10,000 volunteers took part in rebuilding the hamlet, and some of them decided to live there too. Lyon, a city which just seems to get better the more you get to know it. At first, it was one of those towns that didn’t really appeal to me very much when I arrived. Perhaps it was the backed-up traffic getting into town by car. And perhaps because I was looking for what is best to appreciate Lyon in the wrong places. In many towns you go to the old part of town to experience the place. But not in Lyon. The old part is nice and quaint, but you can find more to explore and enjoy in the 2nd Arrondissement called Bellecour. Lyon is France’s second largest city, after Paris of course, and its geography is quite unique. It is where two rivers meet, the Saone and the Rhone. However the meeting takes place at the south end of Lyon, creating beforehand a narrow stretch of land with water on either side which is central Lyon. In this center section of land is Place Bellecour, the third largest plaza in France. Surrounded by beautiful buildings, it also hosts a huge parking lot below it, which has diminished traffic significantly in the area and allowed for many of the streets to be pedestrian only. This area is extremely bike and pedestrian friendly. Its a great shopping and dining region, especially rue de la Republique (“rue de la Re” to locals) with many name-brand stores and department stores. A wonderful street for restaurants is rue Merciere, and then also the area of rue Garet and Rue de L’Arbre. We arrived in the afternoon to Annecy, after driving up from the Ardeche region. Beautiful day with lots of people on the beach of the lake, the shoreline walkway or walking the streets of the old town. What a place! We liked it immediately and it just go better as we found our hotel and check in. The Hotel du Palais de L’Isle is in the middle of old town, perhaps the most photographed place, next to the prison. And our room was the only one with a balcony overlooking the canal and prison. Lovely spot and probably the best room. For our first time here, I can’t think of a better spot to be or room to have. 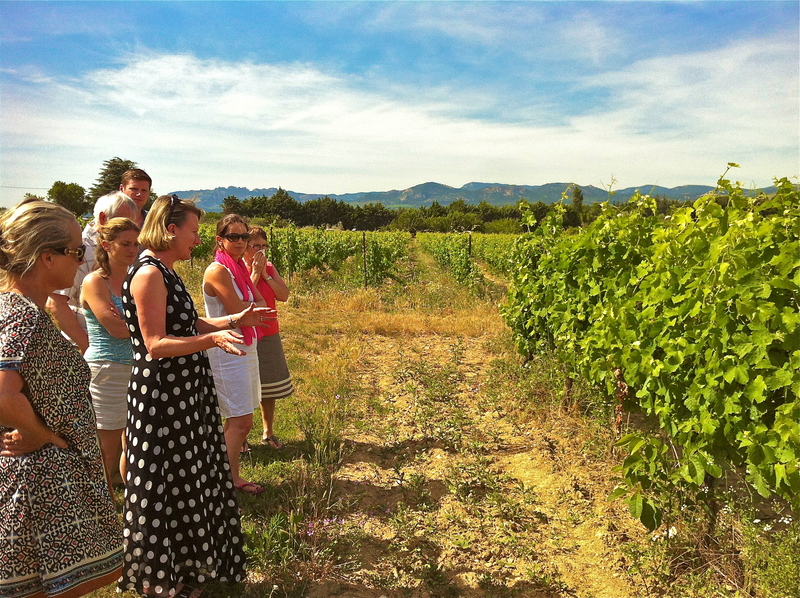 Provence consists of three departements: Bouches-du-Rhone, Alpes-de-Haute-Provence and thirdly Vaucluse, which is the region we were about to visit and tour. Within Vaucluse there are also three sub-regions, called Luberon, Mont Ventoux and Avignon and we did our best to get in a little bit of all three. We left Avignon and headed south to Cavaillon, passing through, taking highway D2 towards Menerbes. This was beginning of our tour through small Provencal villages until we made our way to our stay at Auberge du Vin just outside of Carpentras. 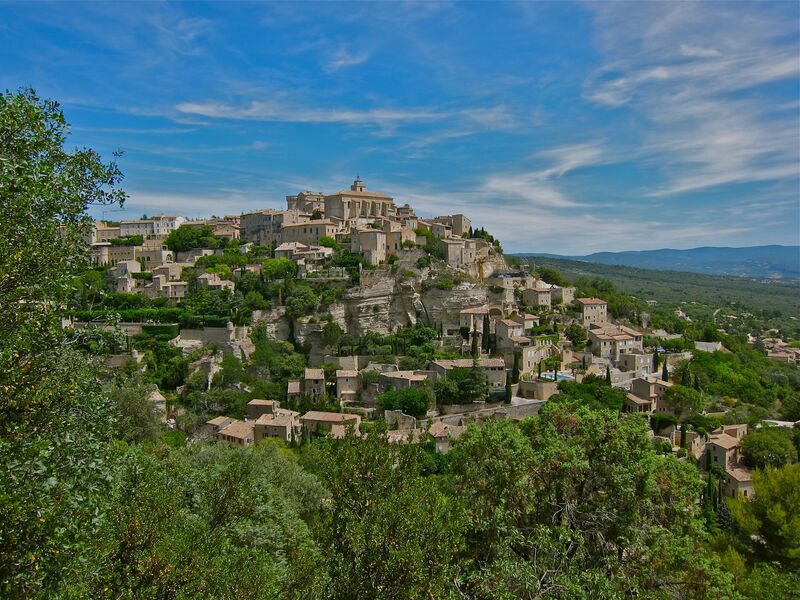 Wonderful countryside, a lovely drive and numerous hilltop villages to stop at and walk through, such as Menerbes, La Coste, Bonnieux, Gordes and Venasque. All cute and quaint, but Gordes stands out and is really quite something to see from the viewpoint when you arrive from the south on D2. And you will immediately know you are getting close to Gordes because of the unique walls or fences along the highway made solely of rock, flat, shale-like rock, starting with them placed horizontally up to about three meters, and then a top row placed vertically. Very unique.